Let’s face it – taking the kiddos on a summer vacation isn’t always as easy as it should be. Yet, we can’t help but strive for perfection – to create the lasting and glowing memories that your kids will carry with them for a lifetime. Finding the right mix of activities depends a lot on the age of your family, so we have developed an age-appropriate guide to help you plan. Carry-on Adventures: Whether pulled behind or carried on your back, there’s no reason to avoid outdoor fun when you have little ones. Local gear shops rent sturdy, comfortable pint-size carrier backpacks that can take your tot on the trail with you. The network of bike trails in Estes makes for easy rides with a rental kid seat or pull-behind trailer. Grab a picnic lunch and ride around Lake Estes and into Stanley Park to eat, or connect to the downtown Riverwalk to hit up a local restaurant or sip a pint on the patio. Bonus Tip: Many of the hotels and lodges are positioned on or near the bike trails, so consider a multi-day rental to make bikes your main vacation transportation. Blast from the Past: Go back in time and capture your kid’s mug as an old west babe in a washtub or a mini Wild West cowboy at one of the old west photo shops. While you’re downtown, explore the Riverwalk with interactive art and fountains that the little ones can splash in, grab a sweet treat and find that perfect souvenir – not just t-shirts and keychains, you’ll also find hand-curated boutiques that offer fun, adorable clothing, gifts, toys and more for all ages. Littles Learning: Whether staying on-site or visiting with a day pass, the YMCA of the Rockies offers many classes for younger explorers. From learning about creepy crawlies to exploring the five senses, arts & crafts to playing with parachutes, young families (and older ones, as well) have tons of programs to choose from! Fun with Fish: Introducing kids to fishing is the perfect thing for a family vacation. The memories and photos of that first catch are priceless. Whether with a guide on the river, floating in a boat on Lake Estes or dipping your line in at the local fishing pond, the options for little anglers abound! Summer School: Learning new things as a family adds something special to vacations, taking your bonding to another level. Private guided excursions, children’s classes with the Rocky Mountain Conservancy, and kid-centered ranger programs in Rocky Mountain National Park all offer kids and families the chance to explore, learn and grow together. Bonus Tip: Give them a sense of accomplishment by picking up a Junior Ranger booklet at the national park visitor centers. Kids complete the age-appropriate activities and return it for a Junior Ranger badge – awarded by a real park ranger in a pinning ceremony! 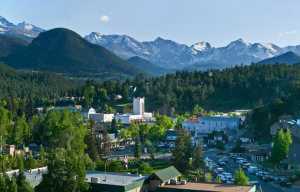 Hole in One: Estes Park features multiple amusement parks and miniature golf courses. From vintage windmills to modern water features, the perfect course awaits your crew. Looking for an additional rite of passage? Try your height tolerance by taking a few runs (only $1 per ride!) down the giant rainbow slide – an Estes Park icon for over 50 years! Digital Detox: OK, it may be a challenge to get older kids to unplug. One trick? Take them to where their devices don’t work! While Estes Park has great connectivity, there are still spots that LTE is still a thing of the future. Go deeper into the park on a full- or half-day hike to see a waterfall, reach a summit or spot a porcupine. You’ll find solitude, there, too – something that most young adults could use more of. Connect with a park ranger for ideas on trails that fit your schedule and your abilities, and remember to arrive early to trailheads or use the hiker shuttle to ease any parking stress. 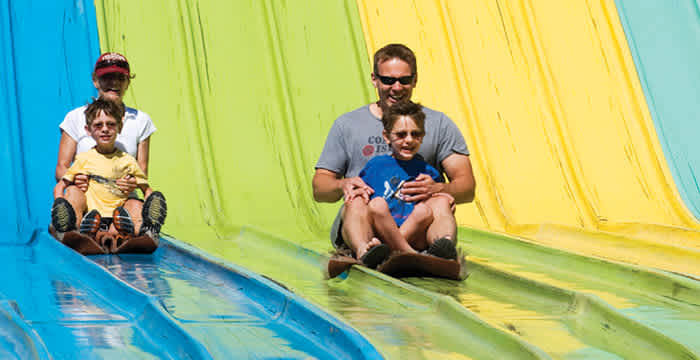 Push Your Limits: Whether testing your nerves on a raucous off-road adventure, facing your fears on a zip line or high ropes course, or testing your palette with Rocky Mountain Oysters or wild game, there are plenty of ways families can bond over personal challenges. So, say goodbye to that comfort zone – for at least a half-hour – and get that nod of approval from your teenager. Advanced Skills: A great thing about older kids is that they can do more advanced activities and you can all be challenged at the same time. Go on your first horseback ride. Test your balance on a stand-up paddle board. 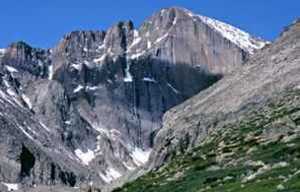 Descend the famous Trail Ridge Road on bicycles (age 12 & up). Whatever your family’s adventure level, there is something new for you to try together. Don’t Forget: Take plenty of pictures to share your bragging rights with others – especially your teen’s friends! Colorado is known for its sunshine, but rainy days do happen. 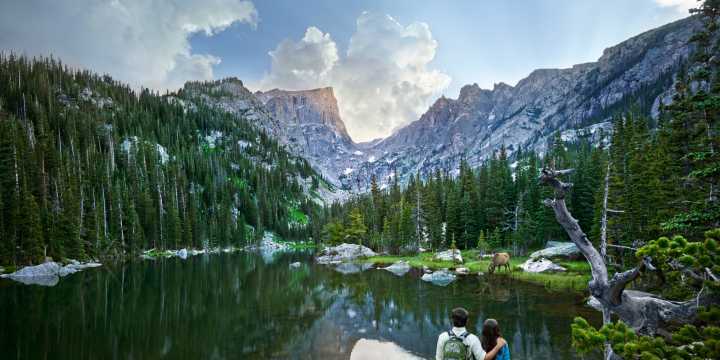 Don’t let it ruin your vacation – there are plenty of fun things indoors around Estes Park. See a new release – maybe in historic movie theater. Take in some history at a museum or a historic hotel tour. Treat older kids to a spa day. Pull out some classic fun by splashing around at the aquatic center or rolling some balls at the bowling alley. Grab that umbrella and pop in and out of the fun, unique shops and eateries downtown. 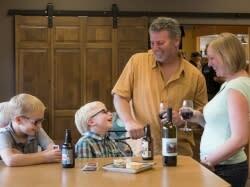 Play some board games at a local brewery or winery – they have unique sodas and juice tastings for the younger set.